She will never hesitate in telling you where you went wrong in your work but the way she does this is so encouraging, so lifting that it will make you want to do better. She is a brilliant writer, an amazing blogger herself but if you write a good piece; she will be the first one to appreciate your work. King Edward Debating Society, better known as the Home of the Fearless, is easily one of the most vibrant societies that we have here at King Edward Medical University. This society is one that has always upheld the Kemcolian maxim of ‘Altapete’ or ‘Aim High’ throughout these years in all of its various endeavours, be it hosting of events at KE or participation in competitions outside of KE. 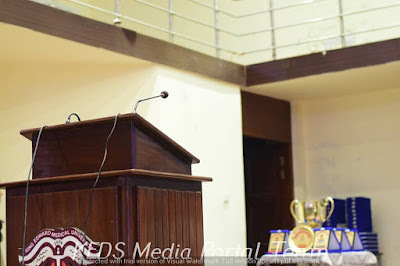 The latest in these series of endeavours was the 17th KEMU All Pakistan Bilingual Declamation Championship and Punjabi Takra 2016 This 2 day extravaganza was held in the New Auditorium on the 13th-14th of April 2016, where nearly a hundred speakers from all across the length and breadth of the country displayed their command over language with crystalline lucidity and eloquence. 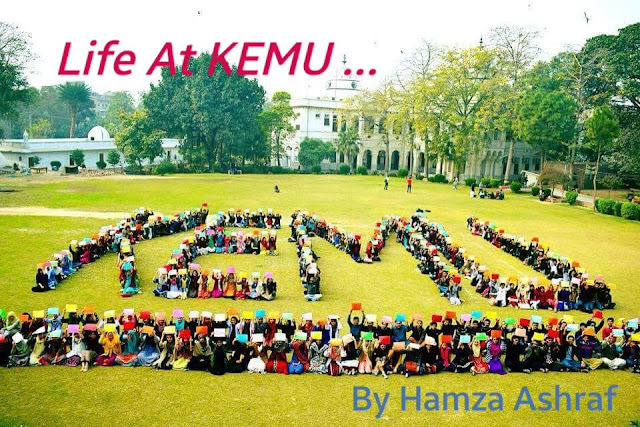 By Hamza Ashraf, 1st Year. Well, competing in contrivance to myriad students during O-levels and FSc. and being selected out of booming 60,000 figure in MCAT consequently, barging my way into this prestigious abode of inquisitive learning. It seems to be something out of someone else’s dream, yet here I am. Thanks to almighty Allah. Ladies and Gentlemen, We give you Champions of 23rd All Pakistan Declamation Championship UET 2016. Numra UroojandFatima Ahmedamazed everyone with their wonderful performance. They were highly praised by adjudicators and got standing ovation from audience. 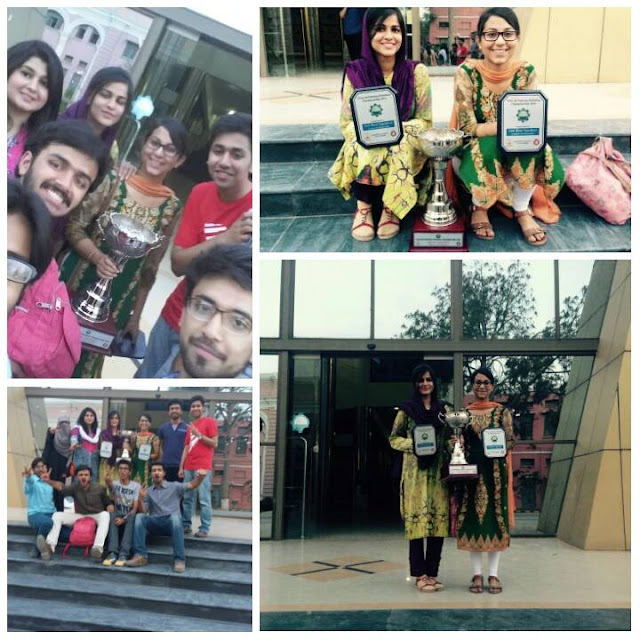 Numra and Fatima maintained their winning streak and it was their fourth win as team. 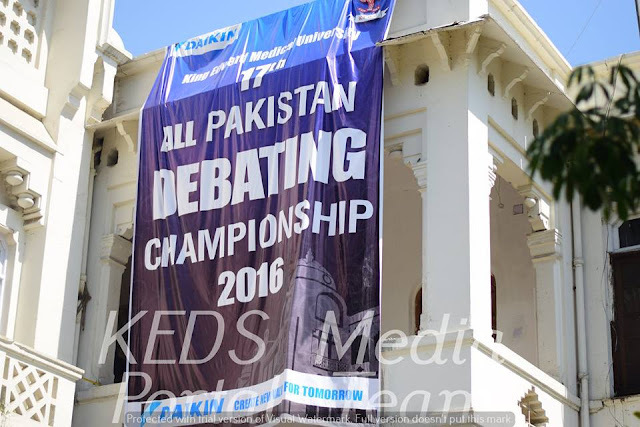 King Edward Debating Society held its 17th All Pakistan Bilingual Declamation Championship and Punjabi Takra on 13-14th April 2016. Here is how the event went, as seen from behind the lens. Special thanks to the KEDS Media Portal Team! 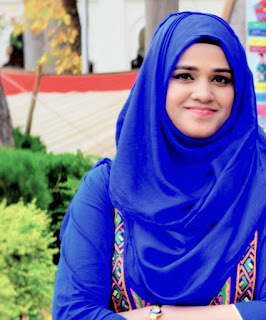 In the parliamentary debates at 23rd UET All Pakistan Debating Championship, held between 15th and 18th April 2016, KEMU made it to the semifinals and quarterfinals of both english and urdu categories. In Urdu parliamentary, KE-A (Ali Naveed and Jamal Awan); KE-B (Mahrukh Safdar and Zara Zahid) qualified for the semifinals after victories over many veteran teams in the initial rounds and quarter final. They put up a great show in semi finals and missed finals break by a close margin. In the English category, KE-A (Izza Bazigh and Kanza Noor) and KE-C (Sumbul Liaqat and Dua Noor) made it to the quarter finals, which was big given that these speakers were making a return to parliamentary debates after a long absence from the circuit.